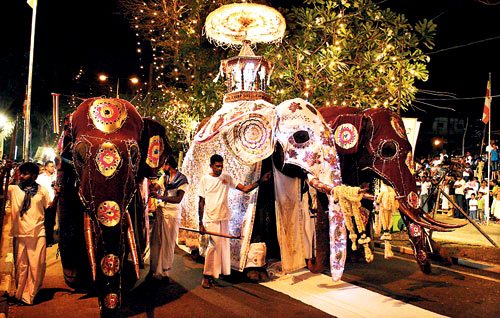 The Colombo Nawam Maha Perahera is one of the most important religious and cultural events in Sri Lanka. Mi1lions of people view this spectacle every year including an estimated 10,000 Tourists. Seating accommodation for 1,000,000 persons is provided without charge on both days. The Perehara revives the ancient forms drawing dancing troupes from all parts of the country and providing an occasion to display their prowess. The beneficiaries of events such as these are the traditional Dance Troupes, who now enjoy a revival of interest in their dance and forms of entertainment. The Perehera thus has a direct relevance to the preservation of Sri Lanka ancient Cultural Heritage.